01. Nei Di Ganu ’Nghân? 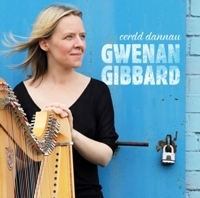 Three different elements come together in cerdd dant: the chosen harp melody, which can be traditional or newly composed; the poetry being sung, which can be strict metre poetry (based on the age old cynghanedd, where alliteration and rhyme play an integral part), free poetry, or, more recently, prose; and, thirdly, the counter-melody on which the words are sung. There are many rules and regulations as to how the words should be set to the music, but basically the harp melody and the singer’s melody should be in counterpoint, and the main accents of the poetry should fall on the main accents of the music. The words are always given the greatest priority and the mood of the poetry must be reflected in the chosen harp melody and also in the singer’s counter-melody and style of singing. In days gone by many cerdd dant singers would accompany their own singing, and here on this album most of the pieces are performed self-accompanied. As with many Welsh singers, cerdd dant has been an integral part of my upbringing. Personally I consider myself to have been very fortunate to have received a grounding in this art from two of the most prominent advocates of this tradition, namely Nan Elis and Alwena Roberts. By now, cerdd dant seems to be an integral part of me, and if I were ever to be far from home in some distant land, then it would be the sound of cerdd dant more than anything else which would be certain to bring on a serious bout of hiraeth (longing)! There are many different styles of cerdd dant singing, depending on the words which are sung. Some of the tracks on this album take a look back at the more folk orientated cerdd dant tradition of years ago and include some poetic measures which are rarely sung today. Other tracks are more experimental and are based on cerdd dant but include some contemporary features and variations in form and structure. Cerdd dant is still very much a living and popular tradition in Wales today, and is constantly evolving. A hugely successful cerdd dant festival is held in Wales every year and new generations continue to set and sing words to music in this unique way. Recorded at Sain Studios, Llandwrog, July & September 2013 by Maartin Allcock, Sion Alun Jones and Gwenan Gibbard.